Thank you, Fashion Canada Magazine, for making my mom’s day week with this little shot. 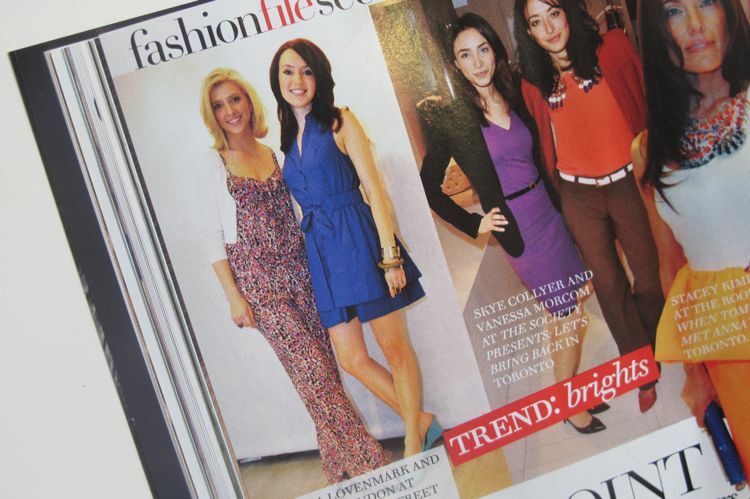 That would be yours truly in blue with Olivia Lovenmark from StyleStruck at the Guess event we hosted in April. It was so much fun, wasn’t it? Don’t worry, Ma. I grabbed you a copy. P.S. You know what else is fun? Following The Anthology on Twitter. you ladies look super! congrats! I hope you autograph your Mom’s copy! You both look amazing. Cobalt blue really suits you! Congrats on making it into the pages of Fashion. You look amazing, darling ~ congrats! You look great….I’m off to get me a copy right now!